Sleeping Beauty has long been my favorite Disney film, in no small part thanks to its iconic villain, Maleficent. It should come as no surprise, then, that Disney chose to release it on Diamond Edition Blu-Ray to coincide with the upcoming home video release of its summer hit, Maleficent, coming up in November. 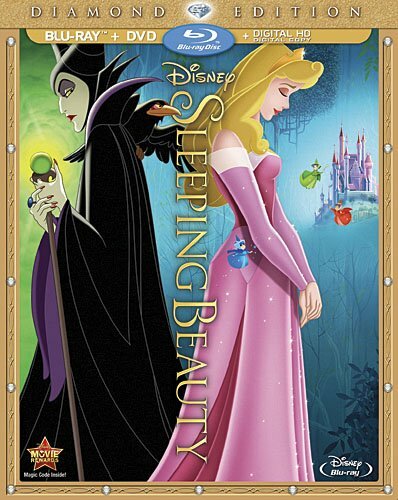 Interestingly, Sleeping Beauty has already been released on Blu-Ray once before, in a 2009 50th anniversary Platinum Edition, but has long been locked away in the Disney vault. Anyone who already had that Blu-Ray in their collection shouldn't bother upgrading, as there's no real difference in image quality and, surprisingly, many of that release's special features are conspicuously absent. Still though, anyone who doesn't already have Sleeping Beauty in their Blu-Ray collection is highly encouraged to pick this up. That's because Sleeping Beauty is arguably the most beautifully animated of all of Disney's classic films. The detail in each frame is breathtaking, and the Blu-Ray really enhances their beauty in ways we've never seen before. The story may be one of their most straightforward and simple - a beautiful princess falls under the curse of an evil fairy and can only be woken by true love's kiss (who, naturally, she just met the day before). It is, in many ways, the quintessential Disney princess movie, and many of its tropes have since been parodied in Disney's more recent films like Frozen and Maleficent. But in its simplicity lies its charm. 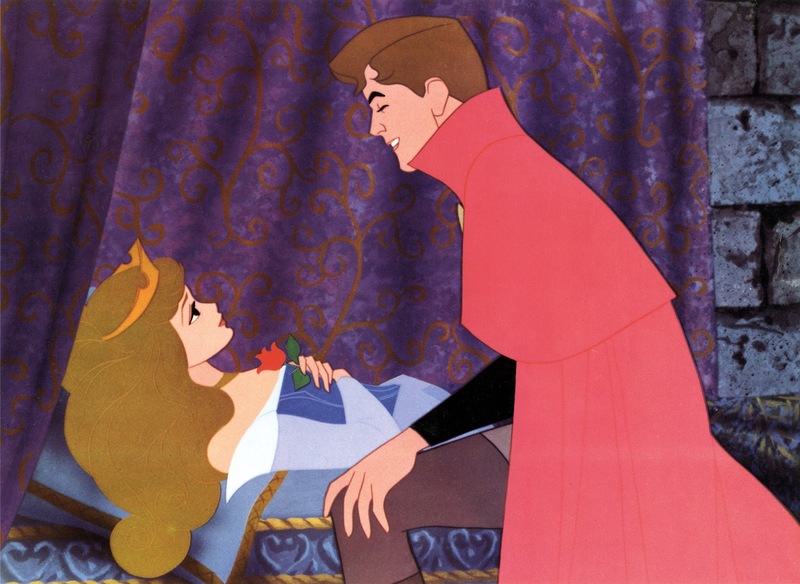 Its gender politics may seem outdated by today's standards (Aurora is the very definition of the passive heroine), but Sleeping Beauty retains its timeless feeling nevertheless. It consistently has the aura of an old fairy tale, lovingly told, and the ingenious use of Tchaikovsky's ballet as the film's score reinforces its timelessness. The runaway success of Maleficent is a testament to the film's enduring power, even if the story was drastically changed to correspond with more modern social mores. I just wish that the Diamond Edition had included some of the special features from the first Blu-Ray release. You would think that something labeled "Diamond Edition" would be the ultimate release of a film, but the Platinum Edition's features far outpace the new release. There are a few deleted scenes that will be of interest to fans of the film, and a piece that focuses on the enduring legacy of Disney villains, but there is a wealth of material missing here - documentaries and featurettes focusing on Tchaikovsky's ballet that appealed to perhaps an older audience of collectors have been left by the wayside. It feels like a rush job to cash in on Maleficent, far below the standards of its previous Diamond Edition releases. It's a shame, because I really do believe this is Walt Disney's crowning achievement, but anytime this classic is released from the Disney vault is a cause for celebration, even if this is strictly for those who don't already have the excellent 2009 Platinum Edition.